Nancy Appleton, PhD., author of “Lick the Sugar Habit ” has put together a comprehensive list of the numerable health effects sugar contributes to. Some of these health effects are not by eating sugar moderately over a long period of time, but occur directly after eating any amount of sugar. 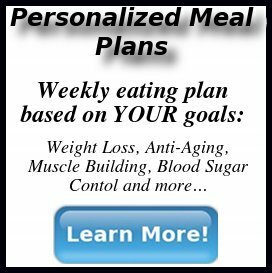 This list was the turning point that moved me into a natural, whole food, sugar free diet. When I create desserts, I use a blend of xylitol , stevia and sometimes coconut sugar , which has a low glycemic index rating. Give a quick look through this list, share it with others and start thinking…is sugar worth it? I don’t think so. There are too many natural options to create the same sweetening effect, that I haven’t looked at sugar in a couple of years. Sugar contributes to obesity. Sugar can cause autoimmune diseases such as: arthritis, asthma, and multiple sclerosis. 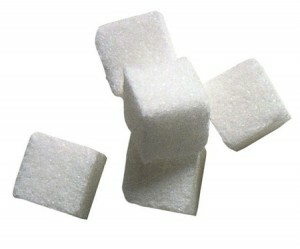 Sugar can cause emphysema. High sugar intake can impair the physiological homeostasis of many systems in your body. Sugar is an addictive substance. Sugar can be intoxicating, similar to alcohol. Decrease in sugar intake can increase emotional stability. Your body changes sugar into 2 to 5 times more fat in the bloodstream than it does starch. You can see the studies at Dr. Mercola’s website here, or look at the references in Nancy Appleton’s book, “Lick the Sugar Habit “. 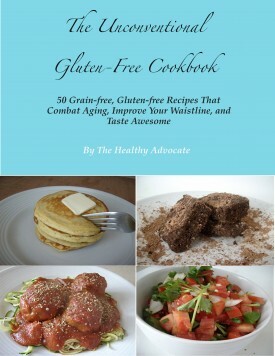 You can also find many sugar-free, natural recipes in my cookbook, “The Gluten Free Cookbook eBook”. Thanks for stopping by! If you don’t want to become a complete fanatic and ditch sugar all together (I’m not that insane, I still use honey occasionally), you don’t have to. You can still reap the benefits of an overall healthy diet. If you eat a diet that is full of vegetables, nuts, seeds, fruits, herbs, etc., you will be receiving adequate intake of antioxidants and nutrients which will in turn help fight off the negative effects of the sugar that is consumed. Combining that with a healthy exercise program will almost knock them out of the park! That being said, I know of many professionals in the medical and nutrition fields who recommend no more than 4-6 tsp. per day, which is a total of 16-24 grams of sugar per day. This is ADDED sugar, so it does not include the sugar you find in fruits, some vegetables or dairy products, if consuming. This can come from honey, white sugar, turbinado sugar, etc. Turbinado sugar is marketed as being a healthier option, but only because (if it is organic, which it usually is) it contains no pesticide residue. Also, regular white sugar is processed with bone char (from animals like cows), so many vegetarians and vegans like to choose turbinado sugar for a cruelty free option (because it isn’t refined or processed with the char). I hope this has helped Kristen! Stop by again. Does this mean I should stop eating fruit which is very high in sugar? Does it also mean I should stop eating vegetables which are high in carbohydrates and gets converted to sugar. What about fats and proteins? If you don’t have sugar your body will convert fats and proteins to sugar to power your muscles and brain. Gee, are you sure about sugar being bad for you??? Pure, refined white sugar is bad for you, yes. Our cells rely on glucose as our primary fuel, that’s correct, but not from pure refined sugar. Carbohydrates from vegetables are a great source of fibrous carbohydrates, and low-glycemic fruits, like berries, are definitely healthy for you. You are currently reading "The 76 Dangers of Sugar"